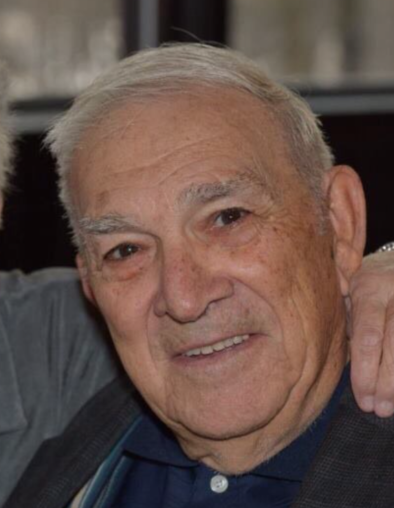 Obituary for Jack Montanile Jr. | John Syka Funeral Home, Inc.
Jack Montanile, Jr., 90, of Leetsdale, died Sunday, February 10, 2019 in Heritage Valley Health System, Sewickley. He was born September 24, 1928, in Leetsdale, to the late of Jack (Anna Maietta) Montanile, Sr. He was a member of Good Samaritan Catholic Church, Ambridge and retired postmaster of Leetsdale with 24 years service. He was an avid sportsman and enjoyed fishing and hunting. Jack was an avid golfer and enjoyed classical music. His passion in life was spending time with his family. He was very active in Leetsdale politics and served on Leetsdale Council until being named postmaster. Jack also served as a volunteer fireman for many years and very active in Leetsdale Little League. Preceding him in death in addition to his parents were his wife, Jilda "Jil" Volpe Montanile, a grandson, Scott Harman and eight brothers and sisters. Surviving are four children, Jeanne Harman of Dayton, OH, Susan Montanile of Leetsdale, John (Cheryl) Montanile of California,and Michael Montanile of Leetsdale, six grandchildren, John Harman, Marcus Montanile, Andrew Montanile, Mia Montanile, Charlie Crow, and Kara Montanile, two brothers Angelo Montanile of Penn Hills, Victor (Pauline) Montanile of Leetsdale and numerous nieces and nephews, great nieces and great nephews.